magazine publications, news organizations and web resources nationwide. Sleep Apnea is a Killer? It’s Listed as a Cause of Death for Carrie Fisher: Here are the symptoms of sleep apnea and how to get tested for the condition. Next Avenue, June 20. Drug Shows Promise Against Vision-Robbing Disease in Seniors: An experimental drug is showing promise against an untreatable eye disease that blinds older adults. Associated Press, June 21. Fitness and Exercise Rules That Change After 50: A funny thing happens on the way to 50 and beyond: Your body doesn’t respond to exercise as it did earlier in your life. Next Avenue, June 22. Lifestyle Changes Might Prevent or Slow Dementia: Simple changes to your lifestyle might delay the start of dementia or slow its progression, a new report suggests. HealthDay, June 22. Can Yoga Help Ease My COPD? Yoga and its associated breathing exercises may help you strengthen your lungs and breathe easier. US News and World Report, 6/16. How Much Do I Need to Retire? How much income you’ll need in retirement depends on a handful of critical factors. The Motley Fool, 6/22. 7 Ways to Live Within Your Means Now So You Can Enjoy Retirement Later: You’ll have a lot to look forward to if you plan well. MarketWatch, June 21. Sibling Money Fights Are Rare, But There’s a Common Cause: Here’s some good news for parents: Although your kids will fight with each other about plenty of things, money isn’t often one of them. CNBC, June 22. Should I Choose an Annuity or Pension in Retirement? The decision usually is binding and several factors should be considered. US News and World Report, June 21. 7 Tips for Managing Your Financial Affairs as a Retiree Overseas: Here’s what you need to know about moving money across borders. US News and World Report, June 21. Do You Need to Pay Off Your Mortgage Before You Retire? Many near-retirees pay extra on the mortgage each month, avidly working toward having it paid off by retirement. Is this necessary to have a secure retirement? MarketWatch, June 21. A Costly ‘Gray Divorce’ Can Upend Your Retirement Plans: Among U.S. adults ages 50 and up, the divorce rate has roughly doubled since the 1990s. CNBC, June 21. How Much Investing Risk Should You Take In Retirement? Once we retire the goal for most of us is no longer to grow our nest egg as much as we can. Rather, it’s to ensure that the savings we’ve accumulated will be able to provide us with income throughout a retirement that can last 30 or more years. Real Deal Retirement, June 20. A Midyear Retirement Savings Checkup: Make sure you are getting all the tax breaks and employer contributions you qualify for. US News and World Report, June 19. 7 Steps to Retire in Your 50s: A frugal lifestyle and a serious commitment to saving could allow you to retire early. US News and World Report, June 19. What if Retirement Comes Too Soon? For many older workers, their retirement “plan” is to keep working as long as possible. Unfortunately, life events often intervene and force people to retire sooner than they expected. CBS MoneyWatch, June 19. Here’s How Much a Job Loss Now Will Cost You by Retirement: When Americans struggle financially-if they face a job loss or a bout with illness, for example-one of the first places they turn for relief is their retirement savings accounts. Money, 6/19. Retire Here if You Want to Save on Taxes: Sunshine and proximity to golf courses shouldn’t be the only drivers of where you spend your golden years. Taxes matter as well. CNBC, June 21. Senate Health Care Bill: Here’s How it Would Affect You: Senate Republicans’ proposal to rewrite the Affordable Care Act would scale back federal funding for Medicaid, change the subsidies available to help low- and moderate-income people buy private insurance, end the mandate that most people buy insurance and repeal taxes that helped expand coverage to about 20 million Americans. USA Today, June 22. 6 Trends That Are Changing Retirement in America: A variety of societal, economic and generational shifts are converging to redefine retirement. US News and World Report, June 22. 5 Things to Consider When Deciding to Retire: Deciding at what age to retire is an increasingly complex decision that needs to take into account many factors. MarketWatch, June 22. 2 Tips That Lead to a Better Retirement: Working longer and postponing Social Security benefits can help get savings back on track. US News and World Report, June 20. Big Social Security COLA Will Be Offset by Medicare Premiums: Retirees can look forward to the largest Social Security cost-of-living adjustment next year since 2012 – but don’t break out the champagne just yet. Reuters, June 22. How to Protect Your Family Members – or Yourself – From Elder Abuse: Financial mistreatment is one of the most commonly reported form of abuse. MarketWatch, June 21. How Early Retirees Can Get Cheap Health Insurance: Early retirees might qualify for thousands of dollars of subsidies if they can keep their incomes between certain limits. Kiplinger, June 2017. How to Monitor the Care of a Loved One in a Nursing Home: Be the extra eyes and ears for your family members to ensure they receive safe, individualized care. US News and World Report, June 20. 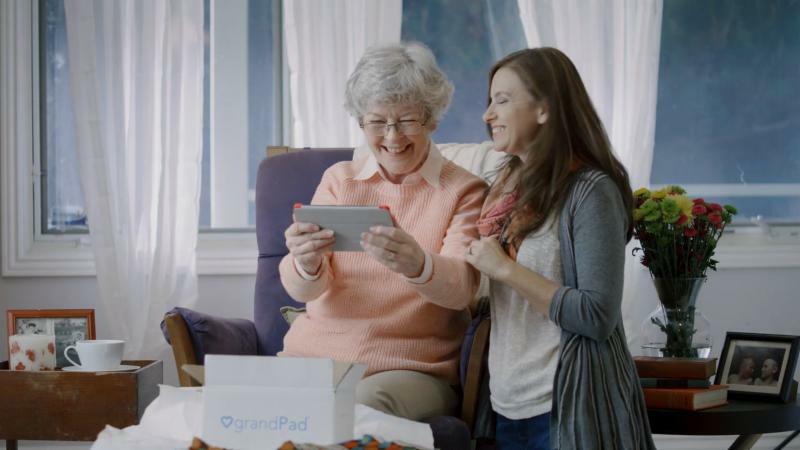 Staying Connected: Now there’s a simple and secure tablet designed specifically for seniors! The grandPad is proud sponsor of the Senior Newswire. Senior-Friendly Jobs That Are Perfect for Retirement: If you’re a senior looking for a position that pays, consider these 12 jobs for retirees. Go Banking Rates, 6/19. The Symptoms of Dying: Whether you have cancer or heart disease or diabetes, dying has its own biology and symptoms. It’s a diagnosis in itself. The New York Times, June 20. Best Bicycles for Aging Baby Boomers: If you’re interested in leisurely, recreational riding for fitness and fun, a great option is a “comfort bike,” which is very popular among baby boomers. HuffPost, June 19. The articles linked in this e-news feed service may not be published without consent from the publication or outlet from which they came. Also note that some articles to certain publications, including The New York Times, may require a subscription to their website to read them. Posted on 7 Jul 2017 7 Jul 2017 by Jonah A. SteinhausPosted in ResourcesTagged Resources.